Informal! Open to all, no advance registration. Just come and enjoy singing! 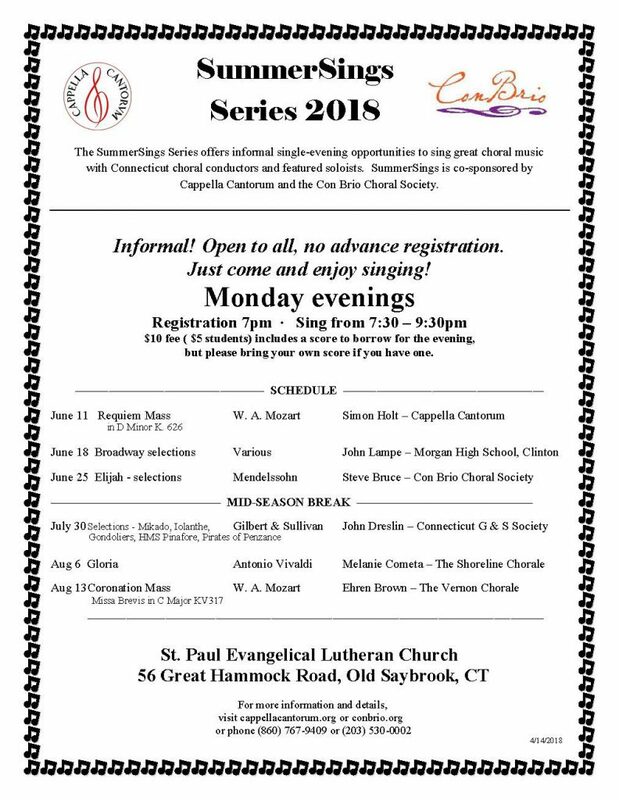 $10 fee per session, includes a borrowed score for the evening, but please bring your own masterwork score if you have one.